FREE in-person consultations are available in cities across US and Canada. Really? He had no hair loss in the crown. 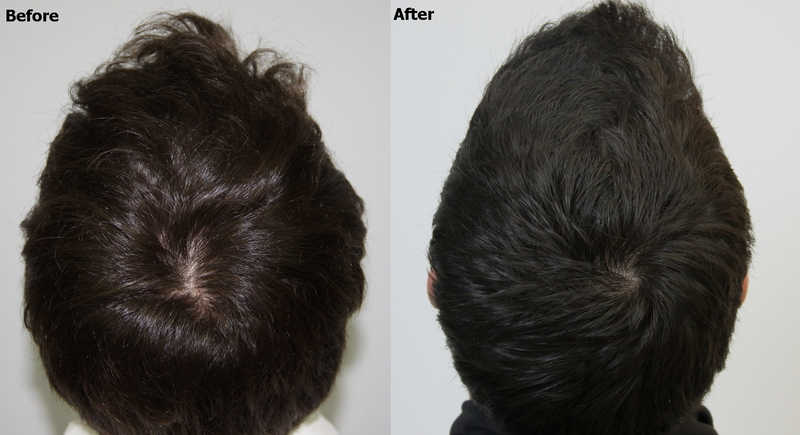 The patient was concerned about his crown thinning and wanted to stay ahead of his hair loss with a very small FUE procedure to add density. He had no swelling and because we did not shave his head his down time was a total of 1 day from the procedure before he was back to work. Because he had FUE he has no strip scar or sign that he had a procedure done and has full options going forward. He was educated on the process, and was concerned about his crown and wanted to address it with a small procedure and is happy with the outcome. I think that s what he was born with, most people are born with a little thinning in the crown. I would ask him to go on Rogain first if he hasn’t already tried that. Thanks, do you think that was because he only had 400 grafts done, ie a very small session and not enough trauma to cause swelling or do you think it has to do with the fact that it was done in the crown? Say if he had 400 grafts for his hairline (closer to his face), would he experience swelling? You see what I am getting at? A crown procedure will not result in any facial swelling regardless of the number of grafts used. Regarding a small 400 graft procedure for the hairline and swelling, a procedure of 400 grafts for the hairline will most likely not result in any facial swelling. If there is any swelling from such a small procedure it would be extremely minimal and hardly noticeable. This is great for 400 grafts in crown. There is no shockloss in which under in the hands of other docs, may occur.